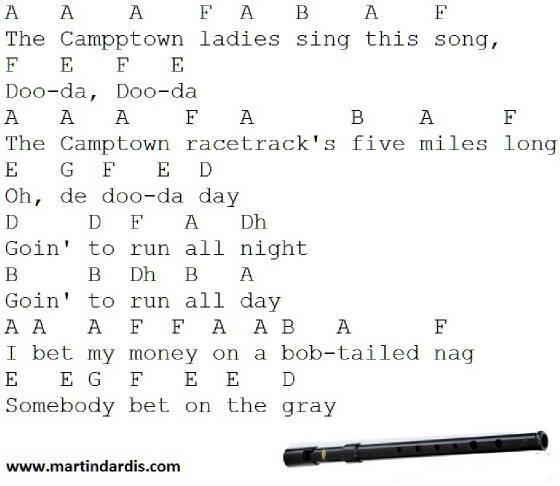 The Camptown Races Tin Whistle Notes And Mandolin Tab. This is an American song by Stephen Foster and first published in 1850. The notes are set out for playing on the D whistle. 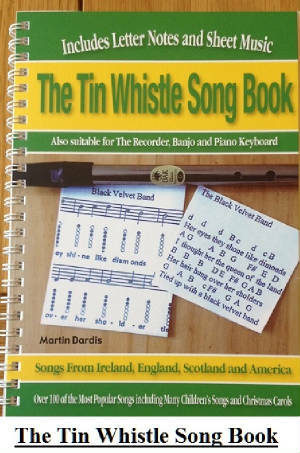 It's a nice little tune that is used in to teach children when they first start to learn how to play the whistle. The letter h just means that it's a high D.